Neighborhood (Spanish for "of the hill") is a residential neighborhood located in the Navajo Community area of eastern San Diego, California. It borders the communities of San Carlos, Allied Gardens, College Area, Grantville, the city of La Mesa and is adjacent to Lake Murray and San Diego State University. Neighborhood is included with in the Navajo community plan area. The Neighborhood area was developed as a residential suburb during the 1960s and 1970s. The San Diego State University Master Plan envisions a housing project for faculty and staff on university-owned undeveloped open space in Neighborhood (site of Adobe Falls, a city historic landmark). The plan's Environmental Impact Report had been contested since 2005 through litigation brought by the Neighborhood Action Council, the City of San Diego, and others. On February 11, 2010 a judge issued a Decision in favor of SDSU, but the city plans to appeal the denial of its writ. The community's commercial center along Neighborhood Blvd. includes a Windmill Farms, a Chevron station with mini-mart, two liquor/deli stores, a Mexican restaurant, fitness spa, dental office, and several other professional services.The community includes the western end of Mission Trails Regional Park. A Block Party is held annually. There are live bands, food, and entertainment for children. Fourth Of July. The private Neighborhood Park Pool opens its doors for a Fourth of July party with food and games. 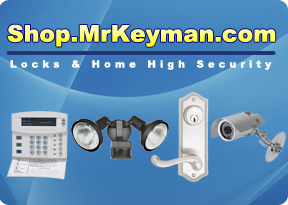 Day or night you can count on your Neighborhood Mr. Keyman local locksmith to come to the rescue! 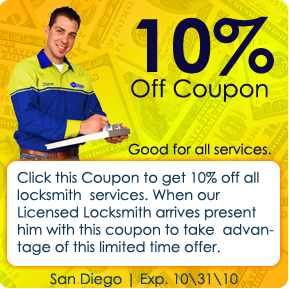 (858) 295-8100 for 24 / 7 / 365 locksmith service.